The following is an excerpt from Stephanie Meeks' new book, The Past and Future City: How Historic Preservation is Reviving America's Communities, published this year by Island Press. The razing of Penn Station [starting in 1963] became a potent symbol of loss for Americans across the country. if such a beloved landmark could be erased solely in the name of profit, it seemed, anything could go. As such, even as Penn Station was coming apart brick by brick, a national conference of preservationists came together in Williamsburg, Virginia, in 1964. This gathering inaugurated several years of meetings and high-level discussions about how historic places could be better protected in an age of rampant demolition. New York's Penn Station, which was demolished in 1963. Shocked by Penn Station's ignominious end, New York led the way: in 1965, Mayor Robert Wagner Jr. signed the city's brand-new Landmarks Law into effect. It created an eleven-person Landmarks Commission, made up of architects, historians, planners, real estate brokers, and citizens of every borough, to protect the places in the city that mattered from further demolition. By 2015, the law's fiftieth anniversary, it had helped protect 1,400 individual landmarks and more than 100 historic districts in the city. On the national front, a group of concerned preservationists from the Williamsburg meetings, with the blessing of Lady Bird Johnson, formed a Special Committee for Historic Preservation, led by Congressman Albert Rains of Alabama and lobbyist Laurance G. Henderson. This committee toured Europe to determine best practices, identified potential shepherds of a new preservation law in Congress, and ultimately contributed to a remarkable and eclectic volume of essays, poetry, photography, and policy recommendations called With Heritage So Rich. "We on the committee...have tried to discover what we must do to rescue from certain destruction what remains of our legacy from the past," wrote Rains and Henderson in the opening essay of With Heritage So Rich. Rescue work was desperately needed: The committee found that nearly half of the 12,000 listings on the Historic American Building Survey of 1933 had been demolished. "This is a serious loss," wrote the First Lady in her foreword, "and it underlines the necessity for prompt action if we are not to shirk our duty to the future. We must preserve and preserve widely." Coupled with New York Landmark's Law, With Heritage So Rich helped jump-start the push for stronger federal protections of historic properties. On October 15, 1966, President Lyndon Johnson signed the National Historic Preservation Act, officially enshrining into federal law the values, tools, and benefits of saving historic places. It created an Advisory Council on Historic Preservation and National Register of Historic Places, similar to the tools created in New York. The very same day, he also signed legislation creating the Department of Transportation, which among its provisions included the vitally important Section 4(f). It requires federally assisted transportation projects to "use all possible planning to minimize harm" to historic resources. Almost immediately, preservationists began using these new tools to prevent historic places from being destroyed. One of the most critical parts of the Preservation Act was Section 106, which requires federal agencies to evaluate the impact that their proposed actions would have on historic properties and mandates that the newly created Advisory Council be given time to weigh in. In one of the very first tests of this Section 106 review, the Advisory Council recommended against a proposal to run an elevated highway along the waterfront of New Orleans' French Quarter. Preservationists later invoked Section 4(f) to stop a highway from smothering Baltimore's Fort McHenry, which had moved Francis Scott key to pen the national anthem during the War of 1812. In cities like Atlanta, Washington, D.C., and Pasadena, these tools helped safeguard historic neighborhoods from being converted into giant highway cloverleaves. 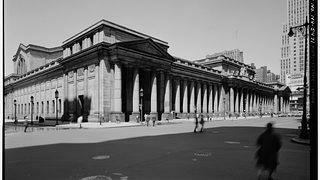 This resurgent and transformed preservation movement—animated by [Jane] Jacobs, devastated by the loss of places like Penn Station, and deeply concerned by the national embrace of even more superhighways and Radiant Cities—became the vanguard of, in author Stewart Brand's words, "a quiet, populist, conservative, victorious revolution." Preservation, wrote another historian cited by Brand, became "the only mass popular movement to affect critically the course of architecture in our century." In 1990, James Marston Fitch declared that "preservation is now seen as being in the forefront of urban regeneration, often accomplishing what the urban-renewal programs of twenty and thirty years ago so dismally failed to do. It has grown...[into] a broad mass movement engaged in battles to preserve 'Main Street,' urban districts, and indeed whole towns." If anything, that has only continued in the years since. Across the United States, fifteen million Americans and counting are taking action in their communities to save places they love. Historic preservation now has a seat at the table in discussions of urban planning, zoning policy, and municipal growth. And the go-to urban planning theory now studied, quoted, and dissected by every student of the subject is by none other than Jane Jacobs. There also has been an extant question as to how much of her prescriptions and criticism were simply aesthetic in nature. In the decades since Death and Life, we simply haven't had much in the way of empirical data to assess her claims about the social and economic impact of older buildings on cities. "The Past and Future City," by Stephanie Meeks and co-author Kevin C. Murphy, examines urban resurgence in America and offers fresh empirical data to assess Jane Jacobs' claims. From The Past and Future City by Stephanie Meeks with Kevin C. Murphy. Copyright © 2016 National Trust for Historic Preservation. Reproduced by permission of Island Press, Washington, D.C.